Ahhhh… School is out and we are finally ready to get in the groove of summer. The transition was kind of crazy but we managed. I never used to understand why parents were so frantic at the end of the school year. I get it now although I still can’t fully explain it. I know, that doesn’t really make sense. I may be still in a bit of a fog. I’m hoping to be better by next week. 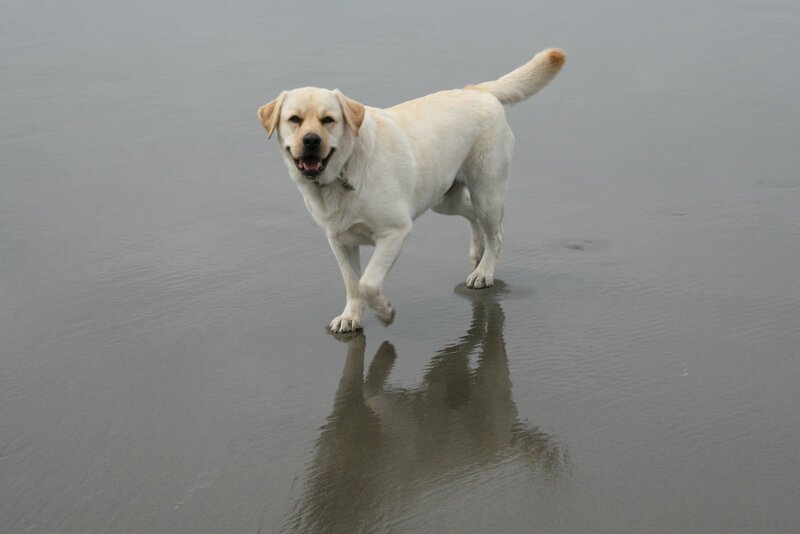 Adding to the chaos, I was sure we were going to lose Sage, our nine-year-old yellow lab, over the weekend. On Friday he was acting really strange, randomly crying out in pain, refusing treats (most alarming) and his left eye was beginning to droop. I was certain it was a stroke. Of course, Bob was out of town because Bob is always out of town when the dogs and children have medical emergencies. Thankfully, he came back early and we got him to the emergency vet on Saturday. By then his eye was all popped out and looking really gruesome. To my immense relief, it was determined to be a tooth that was so infected it affected his eye. He ended up having five teeth pulled on Tuesday. He’s not happy at all but I am since I was imagining much worse! He should be back to his happy, handsome self soon. This is a really hearty salad that is perfect with steak. I made it for Father’s day and it made for a very manly meal. 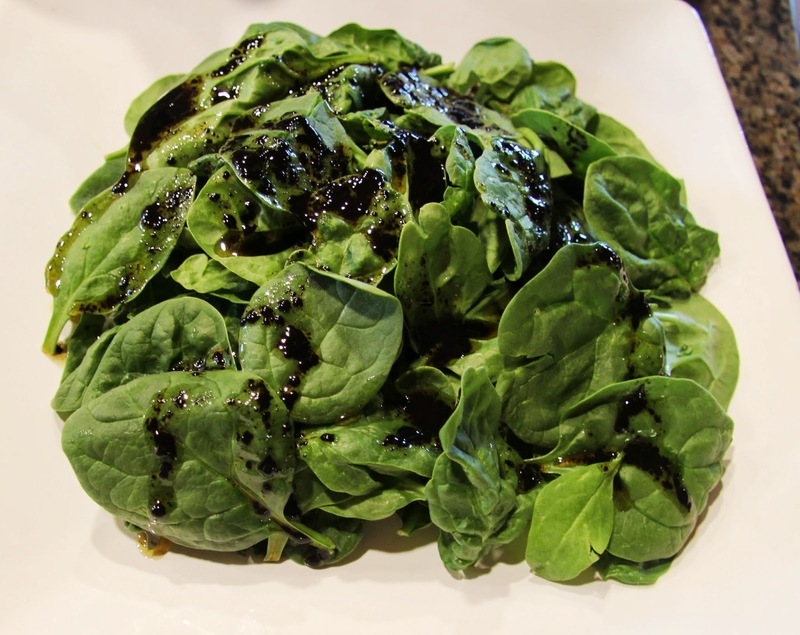 It was sort of an experiment for me and I wasn’t sure the reduced balsamic dressing was going to work but it was really quite good. 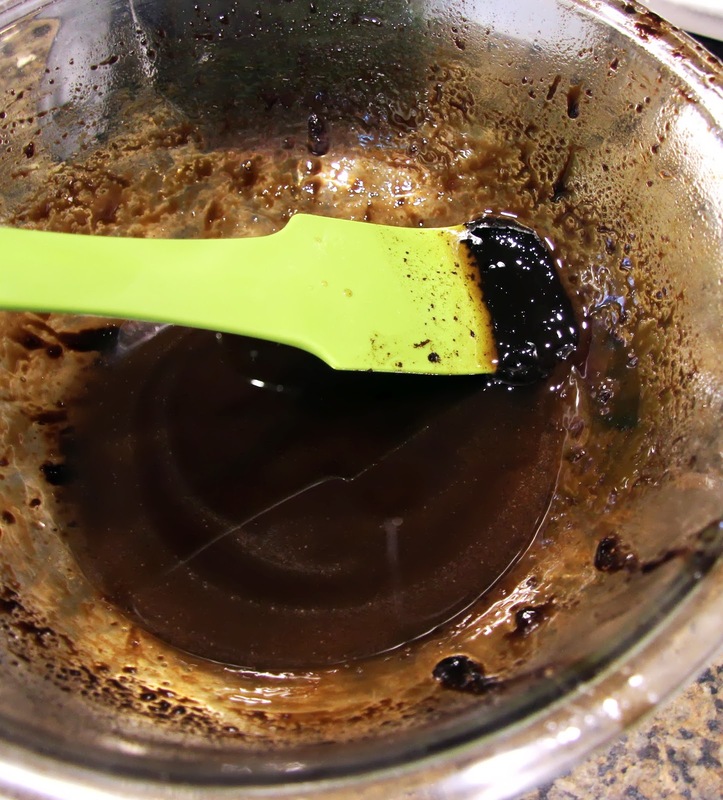 I would advise you to read through this recipe entirely before beginning as there are many different steps. You really should always do that. 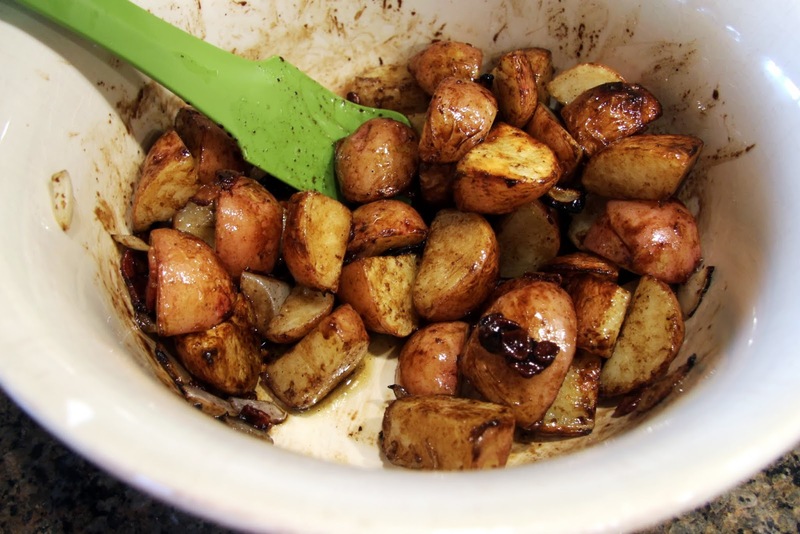 Chop potatoes in large chunks. 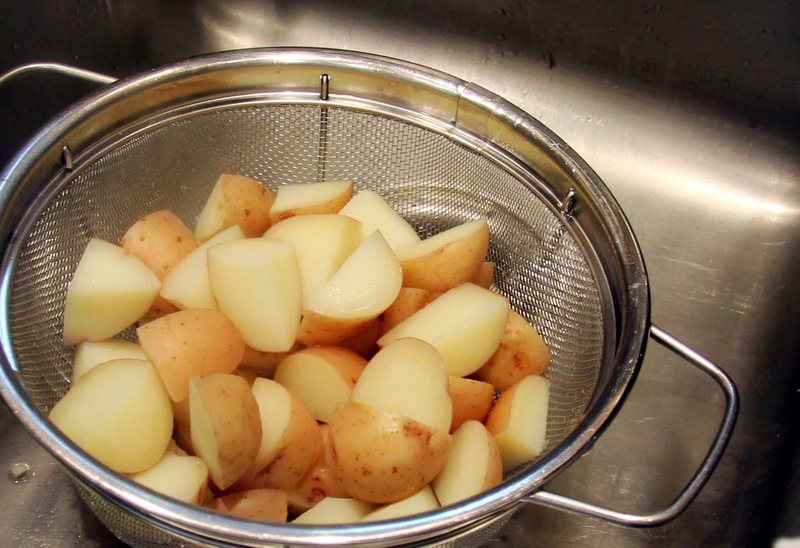 Place in large pot and fill with enough water to cover the potatoes by at least an inch. 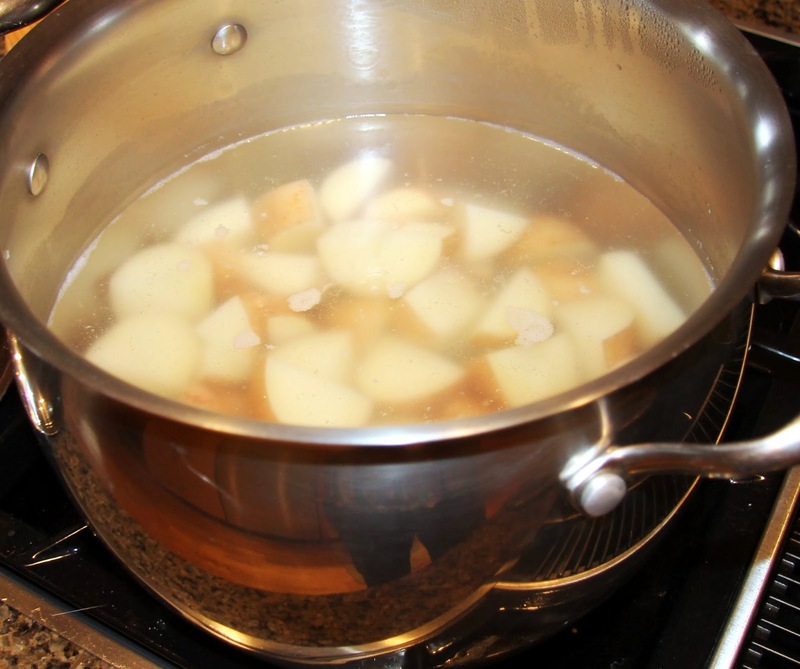 Add a couple pinches of salt to the water and bring to a boil on medium-high heat, stirring occasionally to prevent sticking. 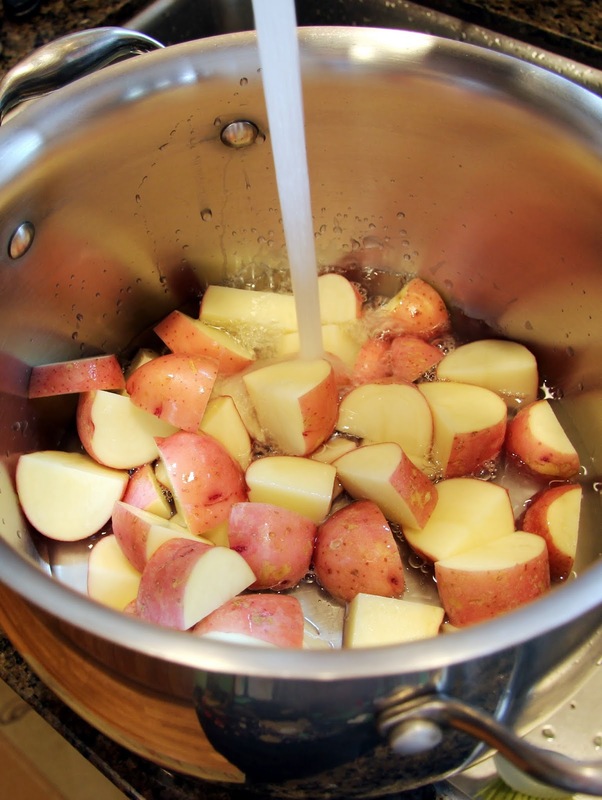 Boil until still firm but just tender enough to be pierced all the way through with a fork, about 10 – 15 minutes. Do not overcook them because they will cook a bit more on the grill. Drain and set aside. 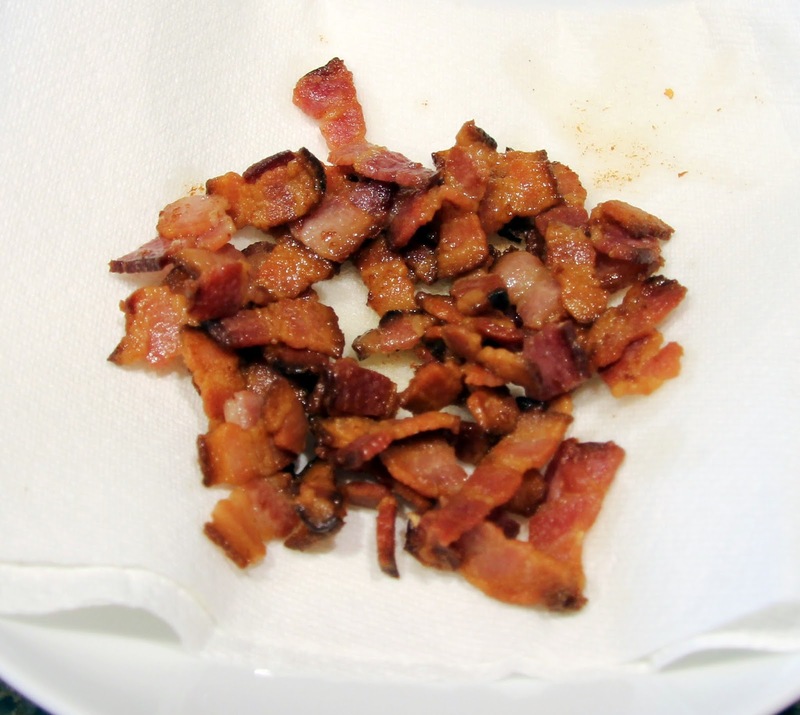 Meanwhile, slice bacon into thin strips. 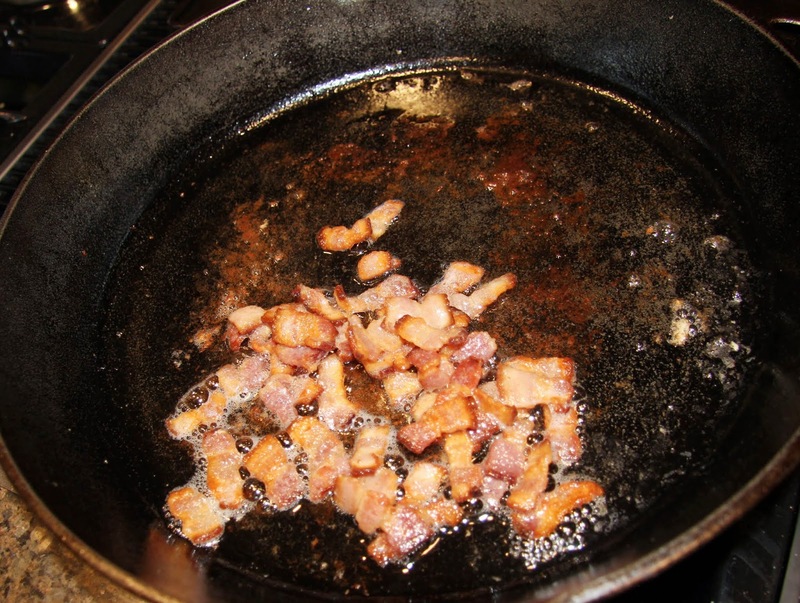 Cook in a heavy saute pan or cast iron skillet on medium heat until nicely browned and most of the fat is rendered. 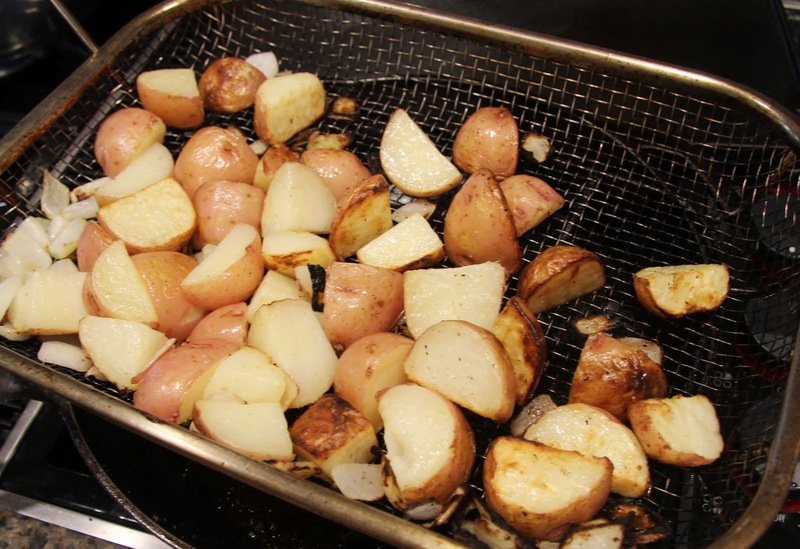 Chop onion into large chunks and combine with cooked potatoes in a grill basket. 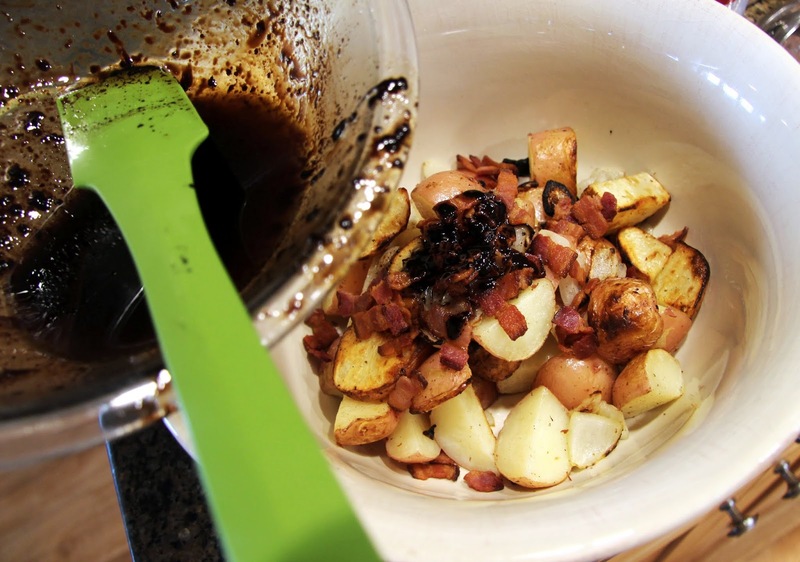 Cook on preheated grill on medium heat until the onions are cooked through and caramelized, stirring occasionally. 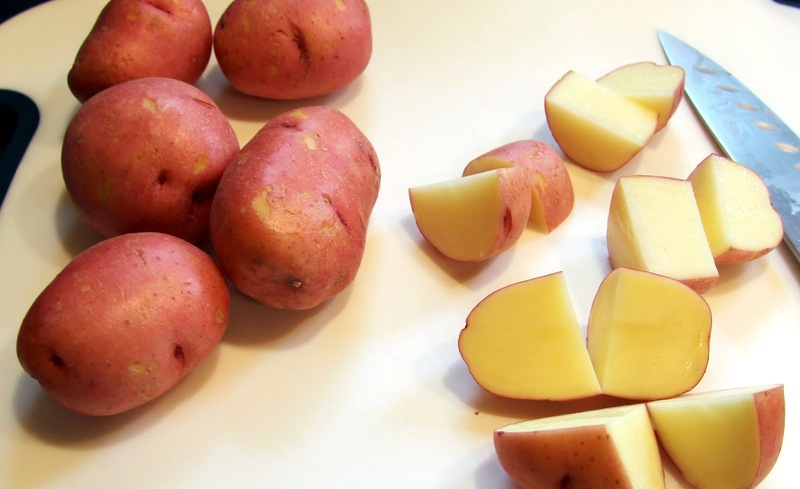 While the potatoes are on the grill, make your dressing. 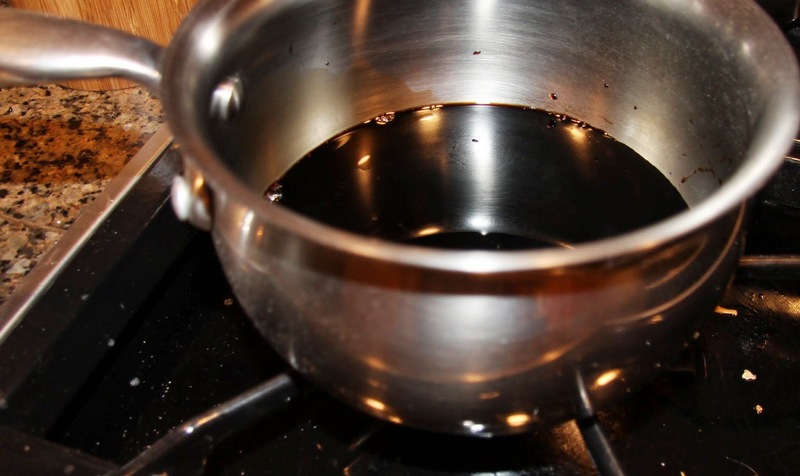 Begin by pouring the balsamic vinegar in a small saucepan. 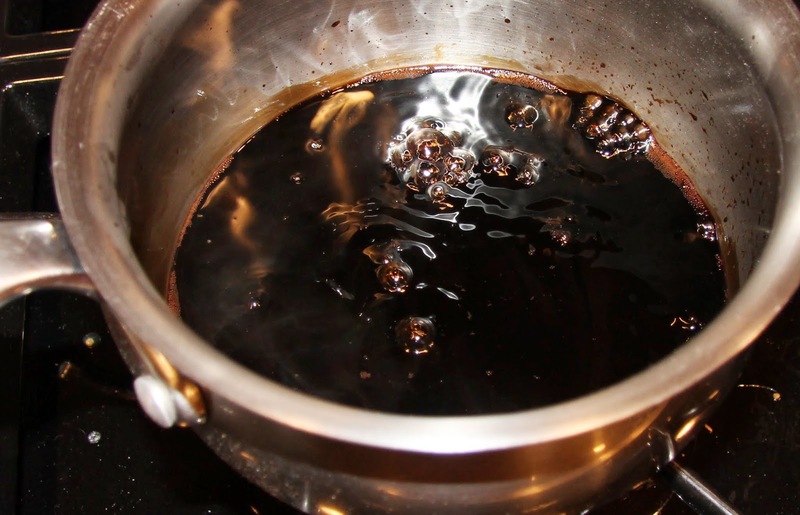 Bring to a boil on medium-high heat and reduce the vinegar until it’s about half the original amount. Stay with it so it doesn’t burn, it should take 5 minutes or less. 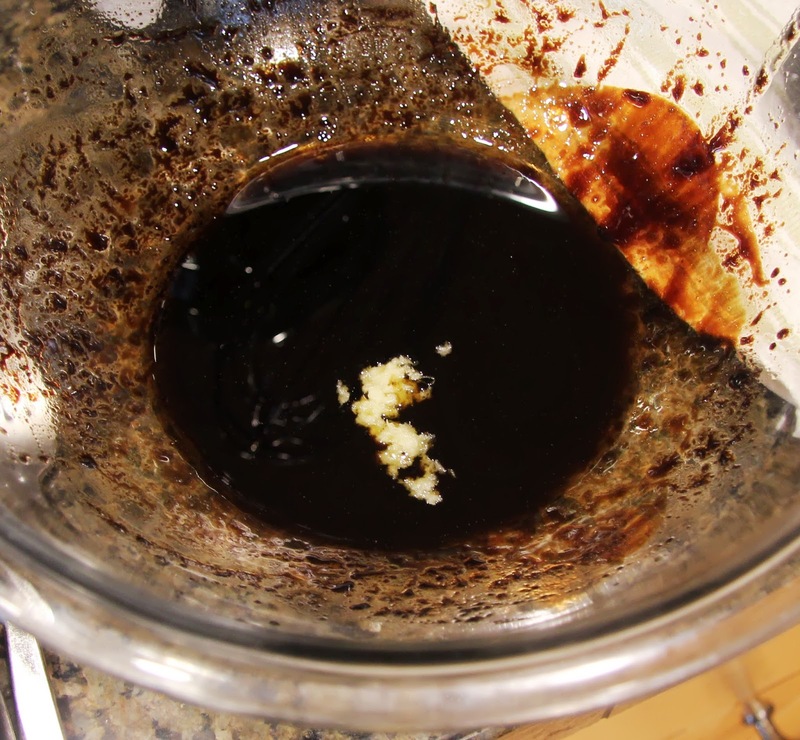 It will not fully combine like a regular vinaigrette but this works well because you will get very sweet little spots in your salad that play perfectly with the bacon and blue cheese. 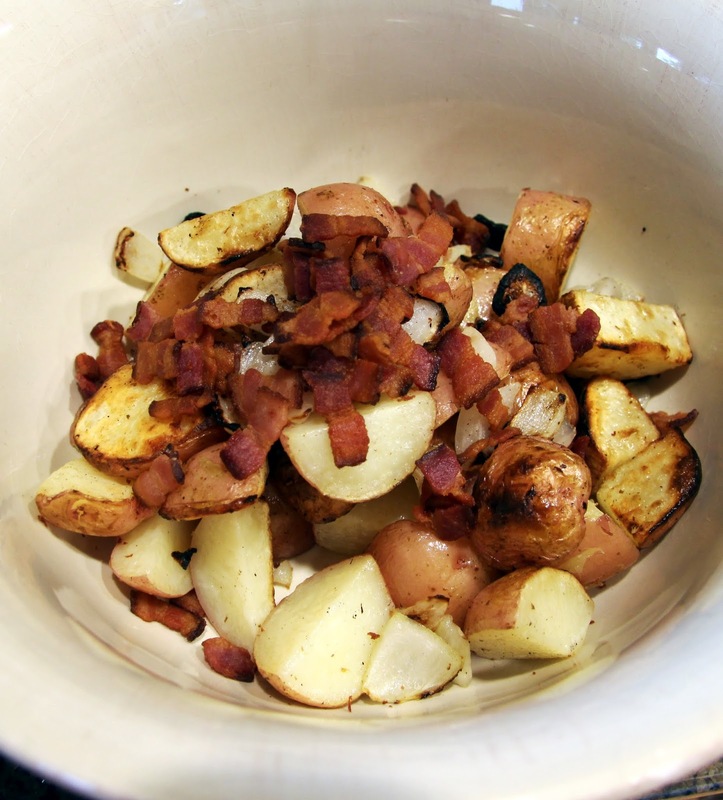 Place the grilled potatoes and onion in a large bowl with the bacon. 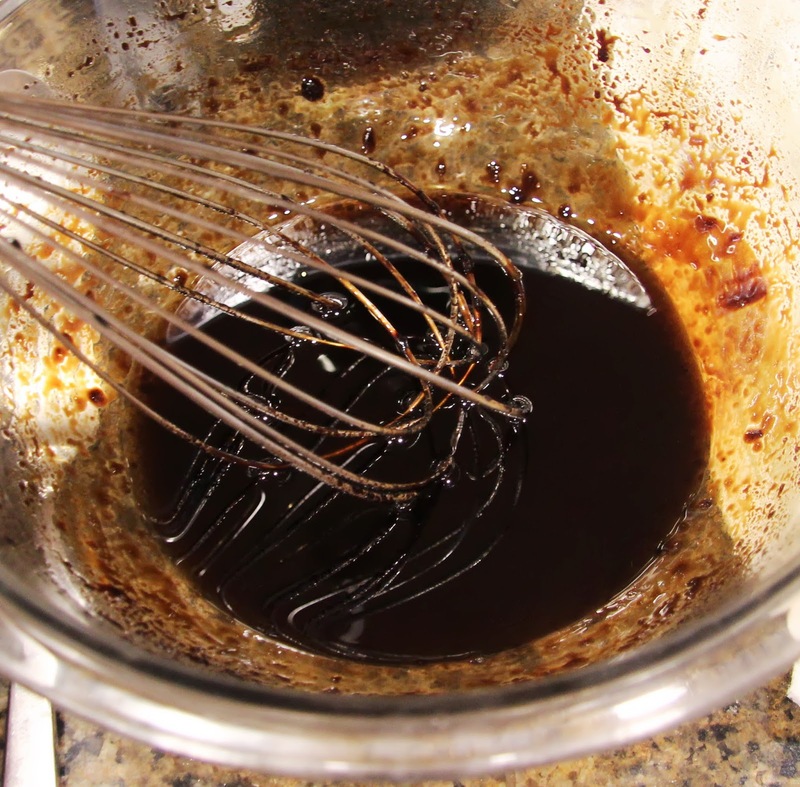 Add about half the dressing, making sure some of the thick syrup comes with it. 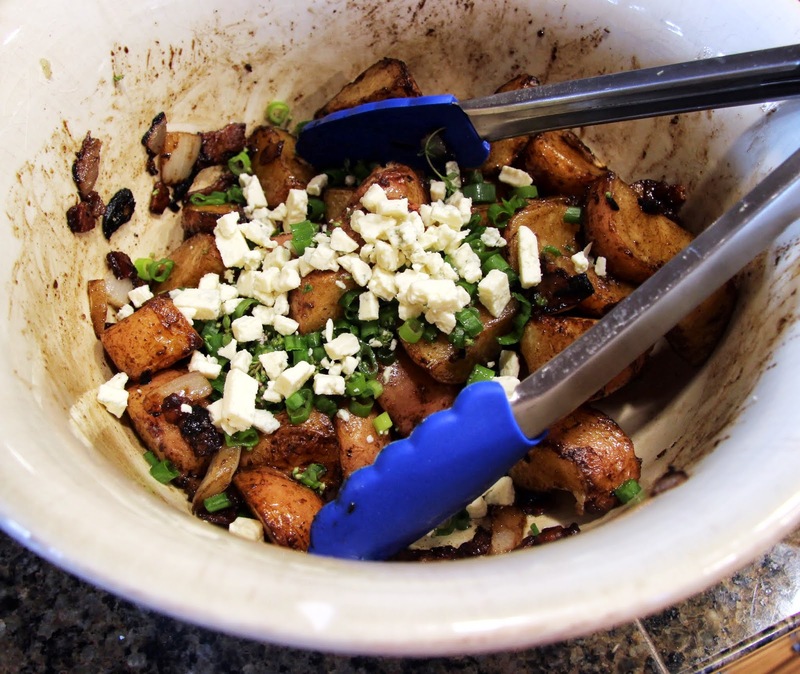 Just before serving, add green onions, thyme, and blue cheese, mix gently. 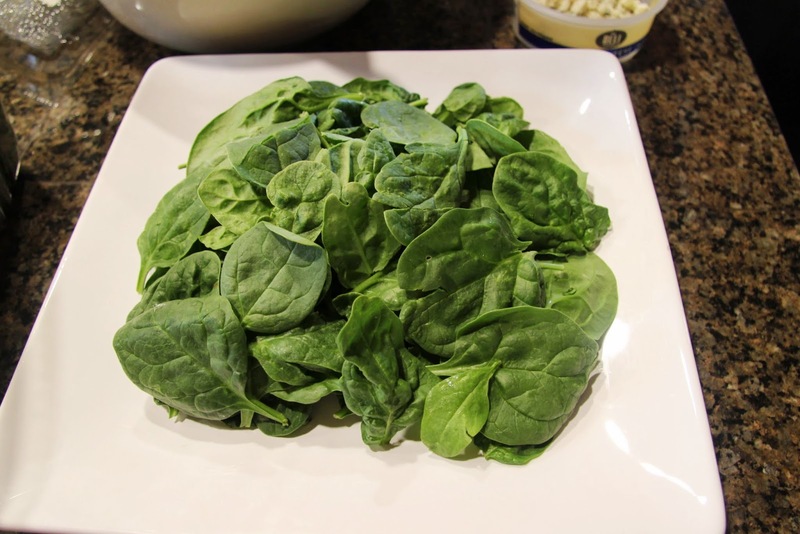 On a large platter, arrange spinach leaves in a pile, keeping in mind they will wilt down. Drizzle the remaining dressing over the spinach and add some more salt and freshly ground pepper. 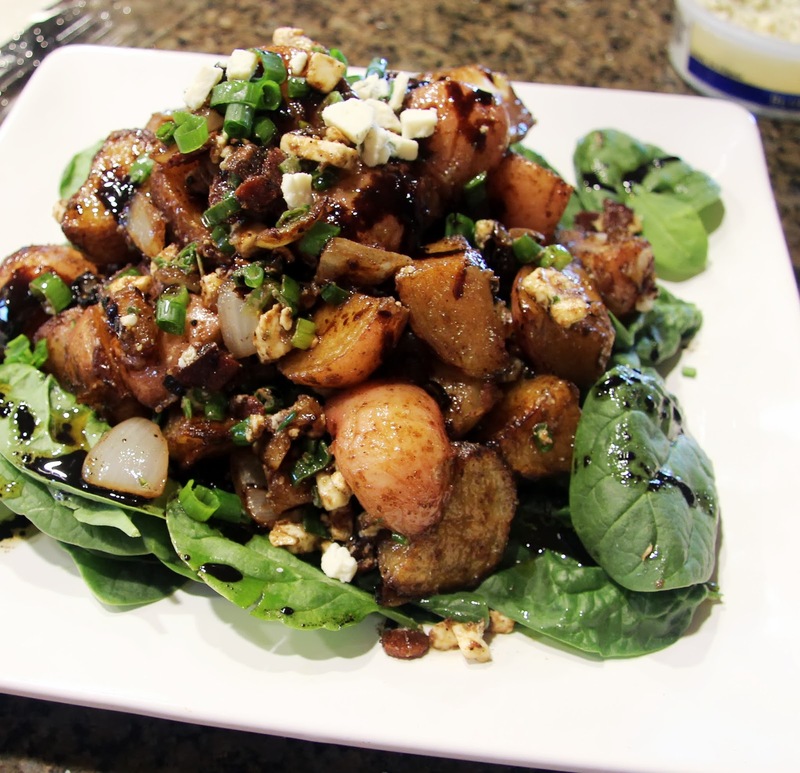 Arrange warm potato salad over the top of the spinach and serve.